Nicola PORPORA: Overture from Il Germanico; Mira in cielo from Arianna e Teseo; Si pietoso il tuo labbro from Semiramide riconosciuta. George Frideric HANDEL: Concerto Grosso in A minor, Op. 6, No. 4; Mi lusinga il dolce affetto and Sta nell’ircana from Alcina; Agitato da fiere tempeste from Oreste; Scherza infida from Ariodante; Concerto Grosso in G major, Op. 6, No. 1. PORPORA: Alto Giove and Nell’Attendere il mio bene from Polifemo. Philippe Jaroussky (c-ten), Venice Baroque Orchestra, Gianpiero Zanocco (vln, dir. ), Lorenzo Feder (hpsd, dir.). Feb. 28, 2014, Mandel Hall, Chicago, IL (http://chicagopresents.uchicago.edu/). Countertenors often have short shelf-lives. David Daniels was downright ragged when I last heard him live, and Andreas Scholl, if his recent recordings are any proof, has almost none of his former luster. Philippe Jaroussky is not yet in peril, but this performance left me with many doubts. 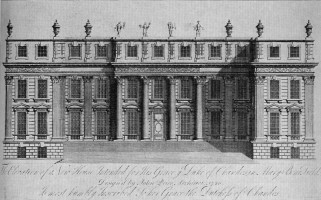 Billed as A Legendary Battle and meant to be a showcase for the rivalry between Carestini and Farinelli in the London of the 1730s, from which almost all of the music dates, the concert interspersed a pair of concerti grossi with four sets of arie, with each set containing a slow aria and a fast aria. Jaroussky lacked the timbral differentiation to give any impression of the varied characters that these singers embodied. After a nondescript overture, he began quite strongly, with a pair of arias by Porpora, but the following arie by Handel downgraded Porpora to an expert form of monolithic mediocrity. Jaroussky’s repeats were usually bland, alternating high and low; he sometimes forgot to sing the written notes, rendering the point of da capo more or less irrelevant. When, however, he tried for more, he failed. Dolce lusinga, indeed. His mannerisms began to overtake the performance after intermission; he went for too much in Scherza infida, sculpting what should flow, and was quite strained by the time that he reached the final pair by Porpora, including the understated Alto Giove. To his credit, his sustained and quiet melismas, which he made sure to include in each aria, to cloying effect, never cracked. The local audience stood, swooping in affection and begging for an encore, which it received. I remained seated. The concerti grossi this evening were played in an advanced, if middling, period-performance manner, without the edge of Il Giardino Armonico or the heft of the Freiburger Barockorchester. The director of the VBO, Andrea Marcon, returned to Italy to deal with a family issue ahead of this tour; one suspects that momentary issues with incoordination and intonation were pardonable in his absence. Parts of this evening were quite enjoyable; parts of this evening were painful. In music, as in all aspects of life, one must take the good with the bad.